Most of us aren't lucky enough to live on a tropical island enjoying an endless holiday. But you can dream can't you? The next time you're working on everyday tasks like preparing mail - you can escape to a land of blue water and soft white sand. You can revisit a place where drinks come with tiny umbrellas and the office feels like it's a million miles away. 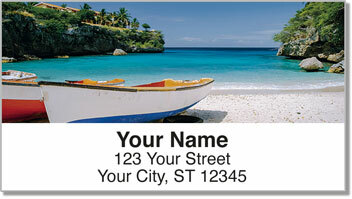 Tropical Beach Address Labels from CheckAdvantage take you back on vacation. 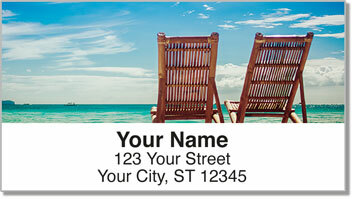 Besides sticking them on envelopes, you can also use this attractive design to label all sorts of personal property. 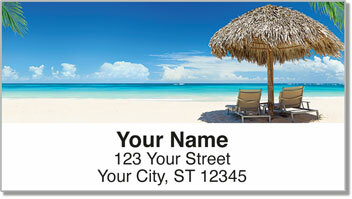 Get your very own Tropical Beach Address Labels now! 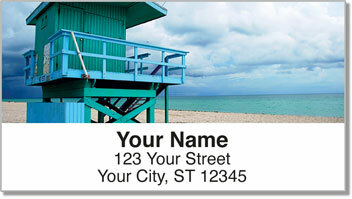 This scenic style can also be ordered as a set of matching personal checks.